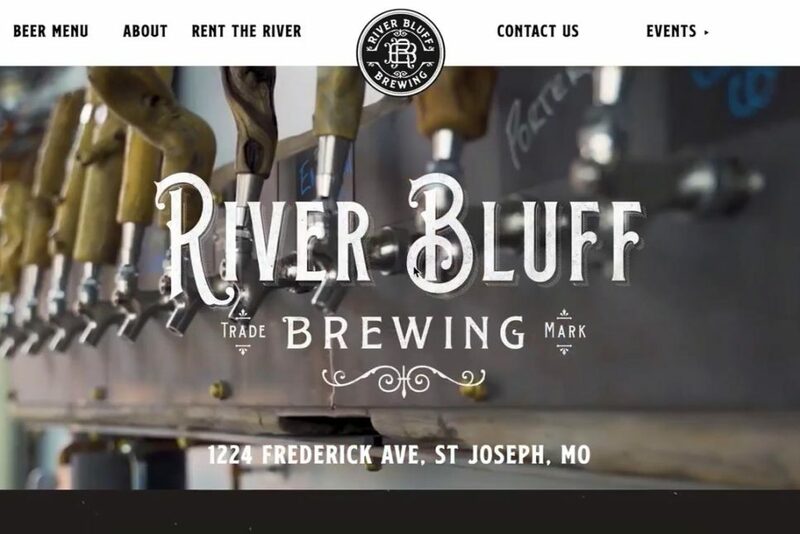 When River Bluff Brewing renovated a building that once housed two pre-prohibition breweries in the heart of downtown Saint Joseph, Missouri, they re-established the fine tradition of local craft brewing that the city was once known for. 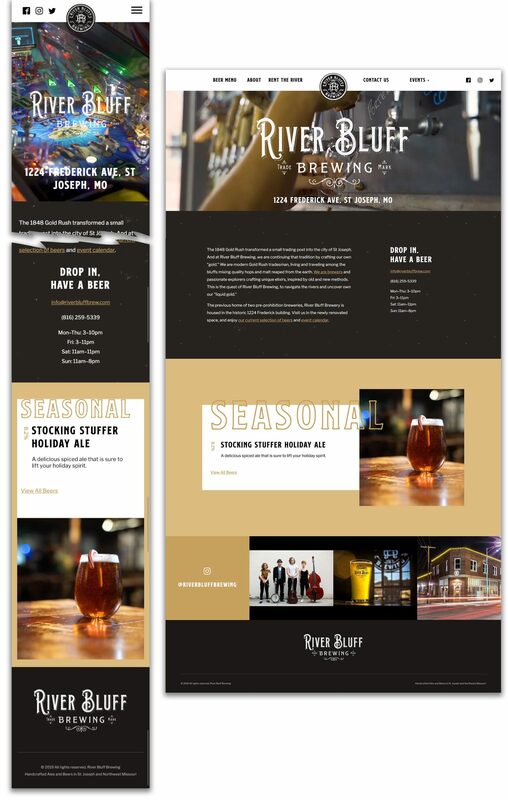 River Bluff Brewing tasked us with establishing their digital presence on the internet, while showcasing the rustic, farmhouse style their brand has become known for. We attempted to create a site that was warm and simple, inspired by natural textures and materials like wood and steel. In the end, the site endeavors to get out of the way and let the beer do most of the talking, with big, rich photos of their brews and the tap room. 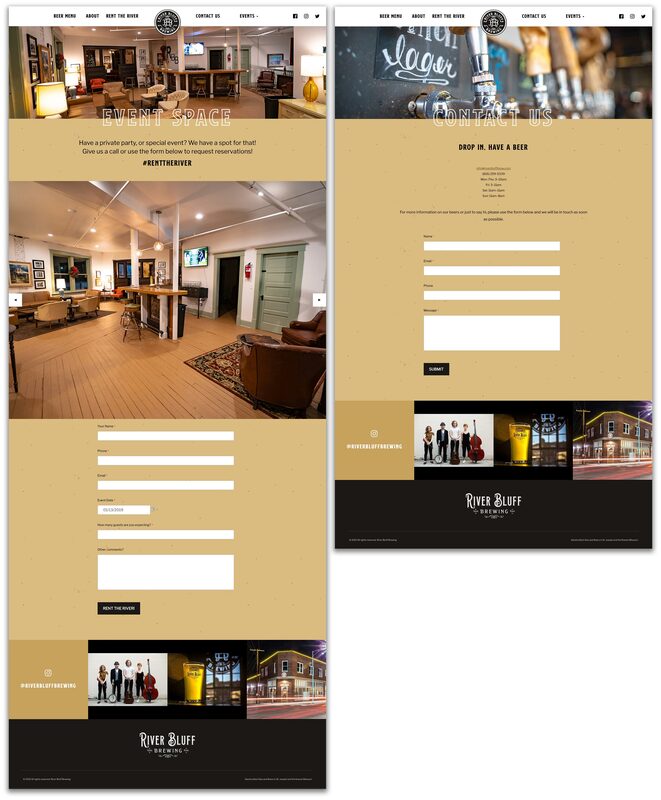 Check out the site, and then head down to River Bluff to try their beer! (The Sandy Dunes Saison is my favorite.) Cheers!